The sun is covered by clouds, and the day is gray. There will be complaints about the rain, but not from Angelia Smith. That’s because Smith, 43, knows about a different kind of clouds, the kind that don’t cover the sky, but envelop a woman’s heart and mind when she is diagnosed with breast cancer. But as emotionally painful as living through breast cancer was, Smith realizes it could have been so much worse. Her cancer was detected in time for successful treatment thanks to a free screening mammogram at Thompson Cancer Survival Center. Smith is one of many women who have benefited from a Thompson program that offers free mammograms to those who are underserved or uninsured. Tennessee Cares for Breast Health (TCBH) is funded by proceeds from the Subway® Race Against Cancer, and has helped Thompson provide more than 2,000 free screening mammograms this year. After the screening, a biopsy was ordered. Two days later she received the call that she had breast cancer. Smith’s path through breast cancer started with surgery. 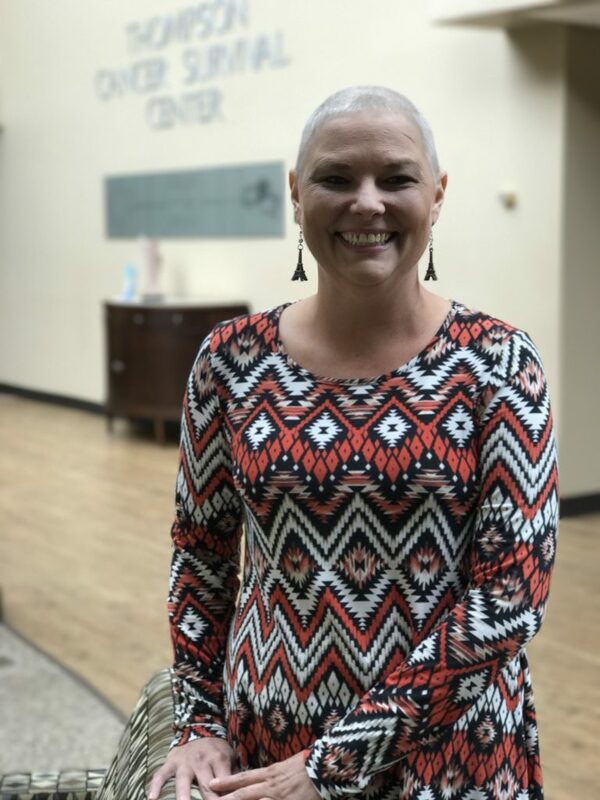 Because of her age and the possibility of cancer returning later, she opted for a bilateral mastectomy and reconstructive surgery at Fort Sanders Regional Medical Center, located adjacent to Thompson Cancer Survival Center. The cancer had reached one lymph node, so she also received chemotherapy and radiation, reducing the risk of the cancer returning elsewhere in her body. Smith has learned a lot in the process of battling breast cancer. First and foremost, she’s learned the value of being proactive about her health, and advises other women to do the same. Nurse navigator Jo Phillips, RN, who helped guide Smith through her cancer treatment, comments that Smith is inspiring in her own right, now giving others encouragement and hope. To learn more about TCBH or to schedule a mammogram at Thompson Comprehensive Breast Center, call (865) 331-1624, or visit https://www.thompsoncancer.com/breastcenter/.